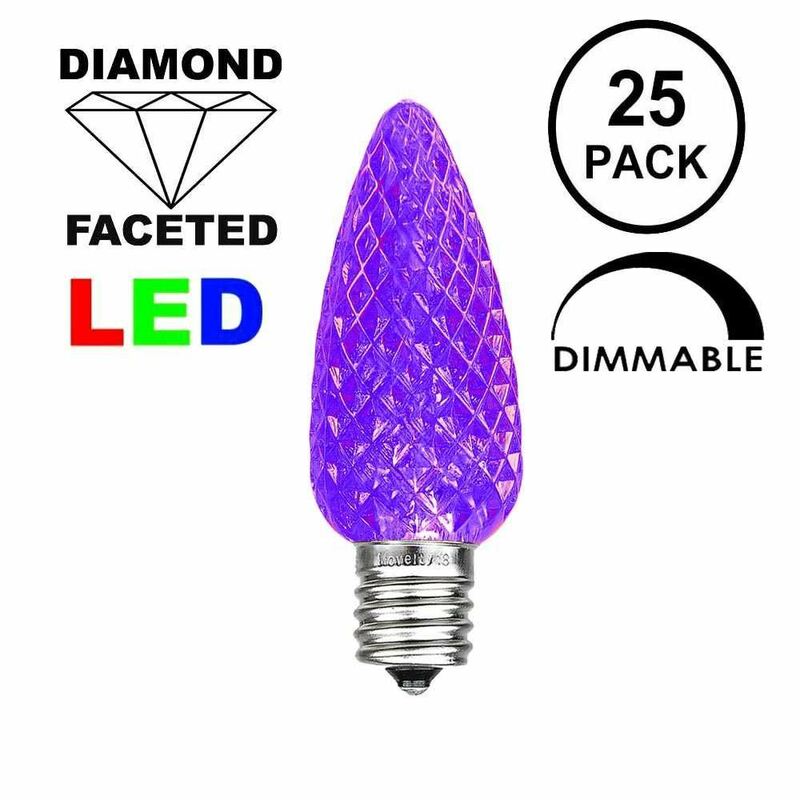 Purple Diamond Bright Faceted C9 Retrofit replacement lamps. 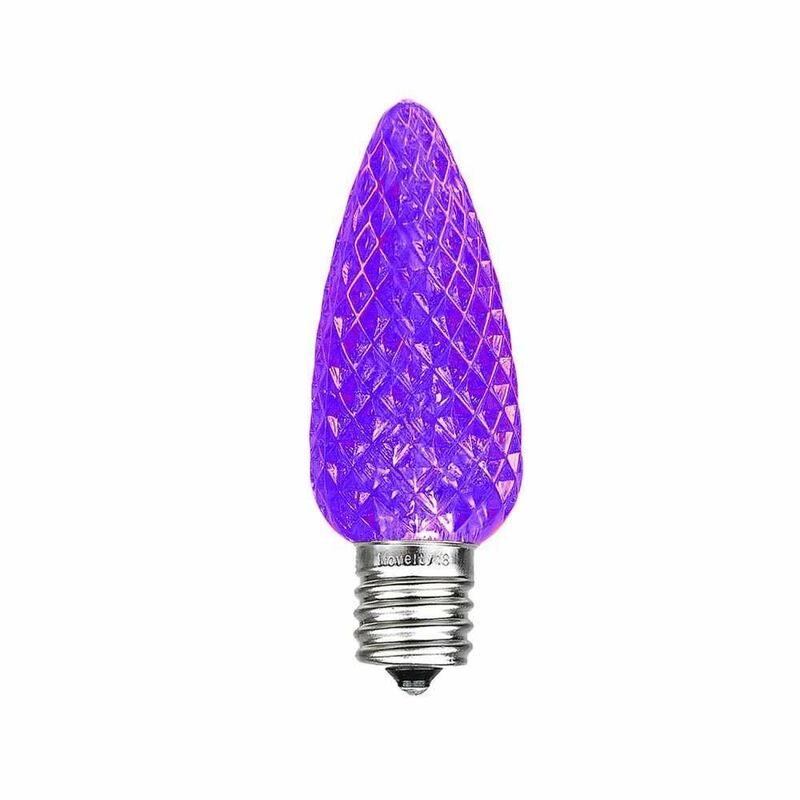 Our brilliant Purple C9 retofit bulbs utilize a Super Bright 2 SMD LED creating evenly distributed vivid bright C9 LED. 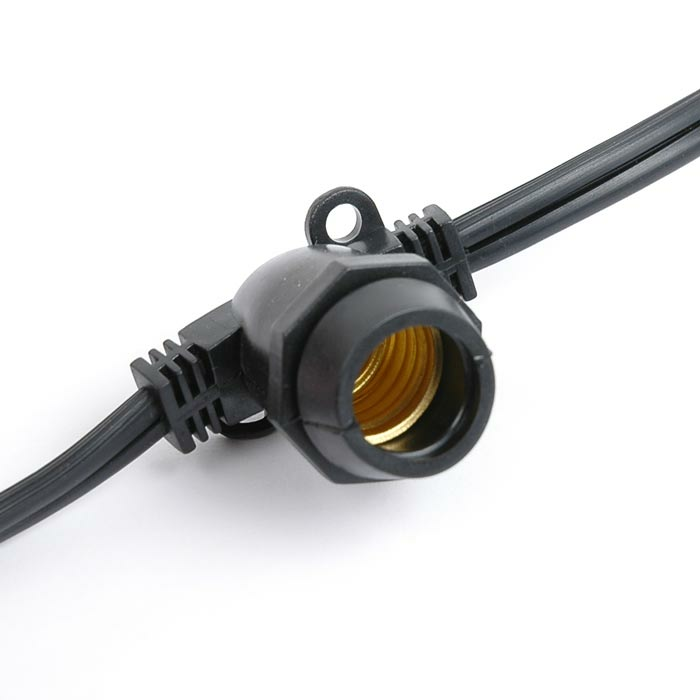 We also use a thick plastic polycarbonate providing a durable LED C9 that will not chip, fade or crack. 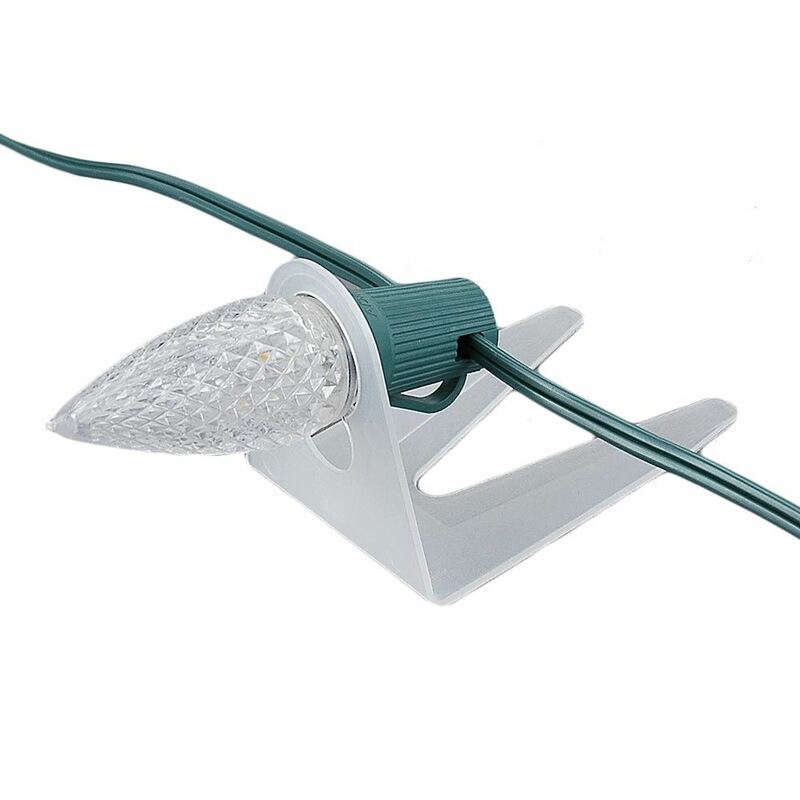 We also use a special diamond cut prism on the outside of all our Retro-fit bulbs creating brilliant lighting effects. 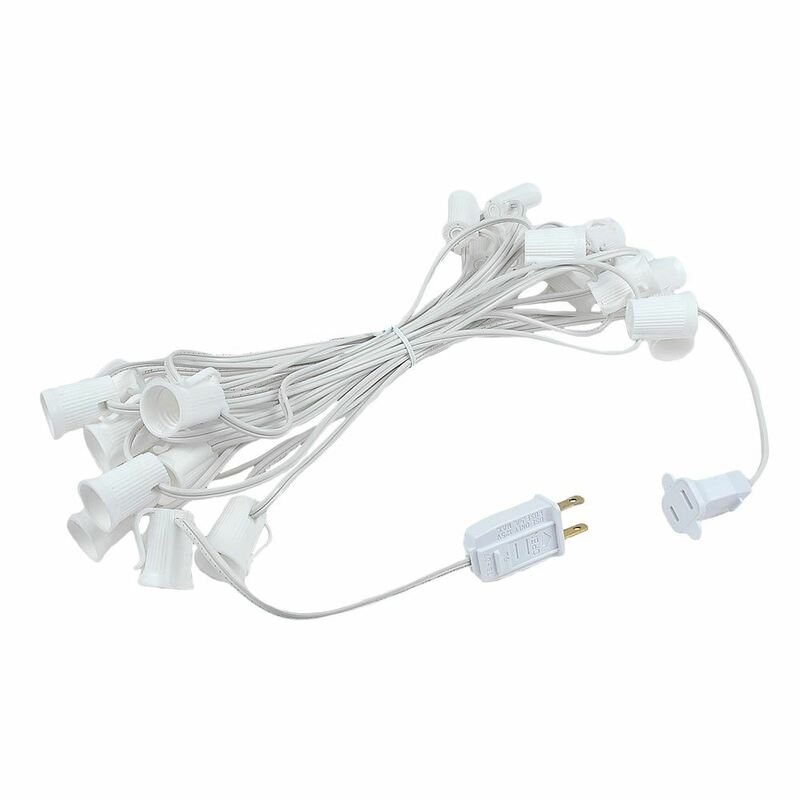 These SMD C9's are also dimmable making them perfect for animated displays. 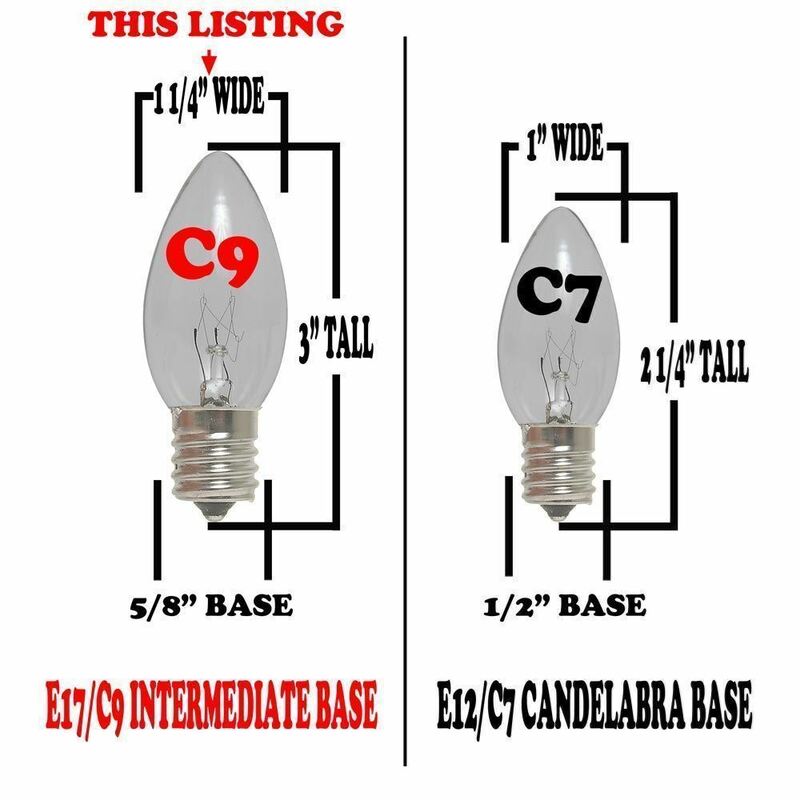 All of our LED C9's are energy efficient using only 0.80 Watts and 0.0067 Amps. 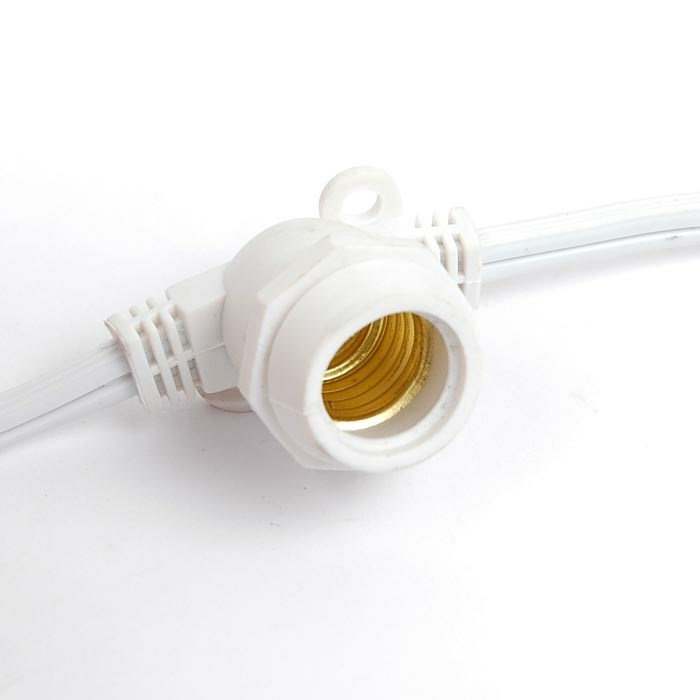 Bulit to last with a 3 season warranty. 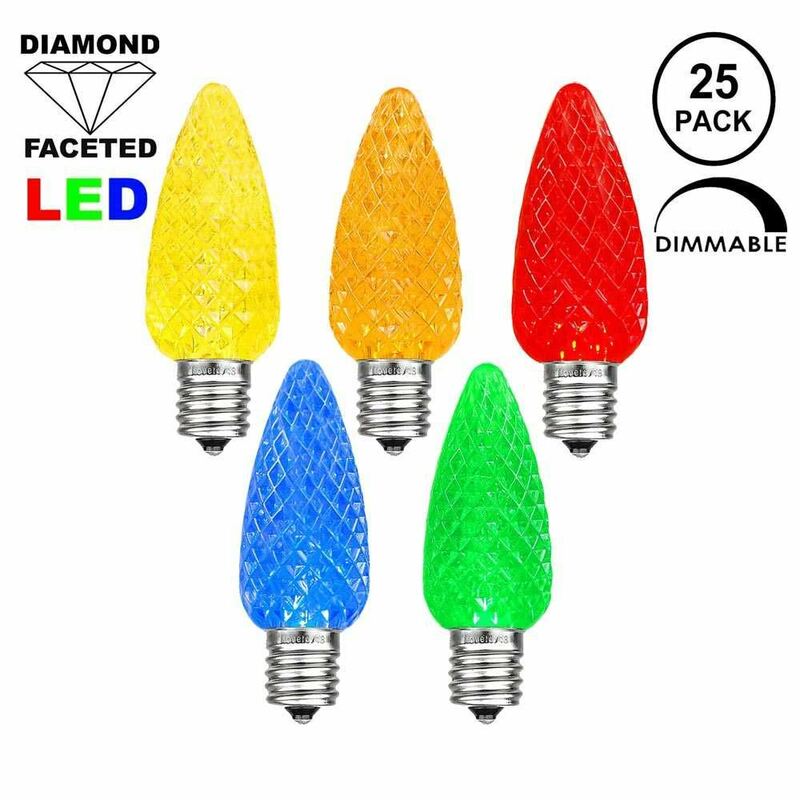 Our C9 Diamond Faceted LED bulbs will provide years of quality use. 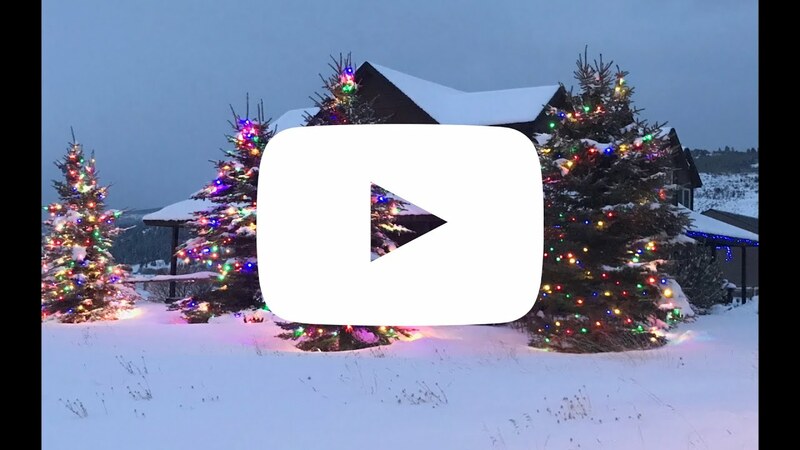 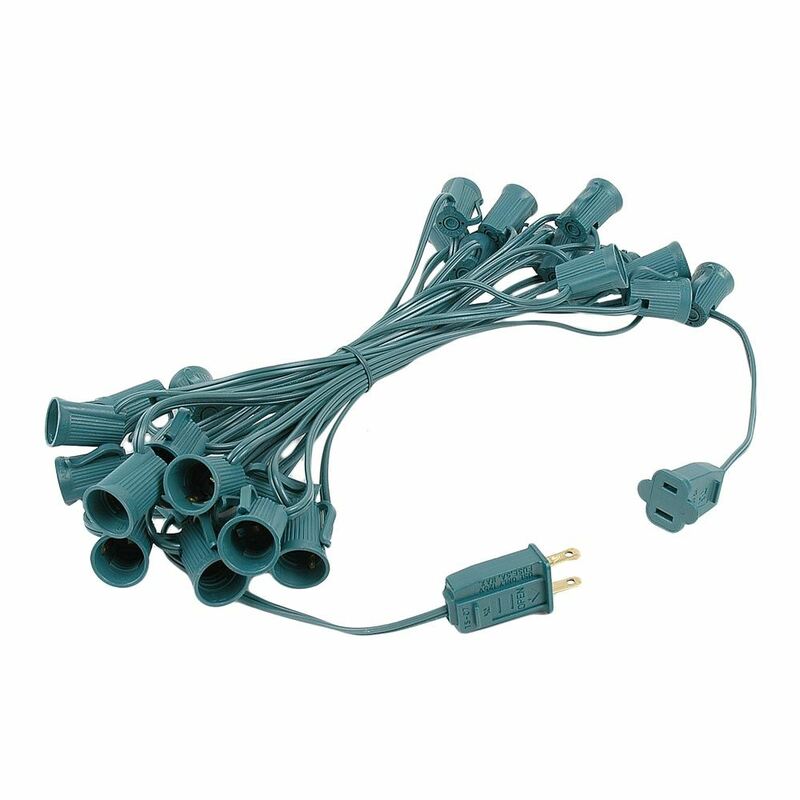 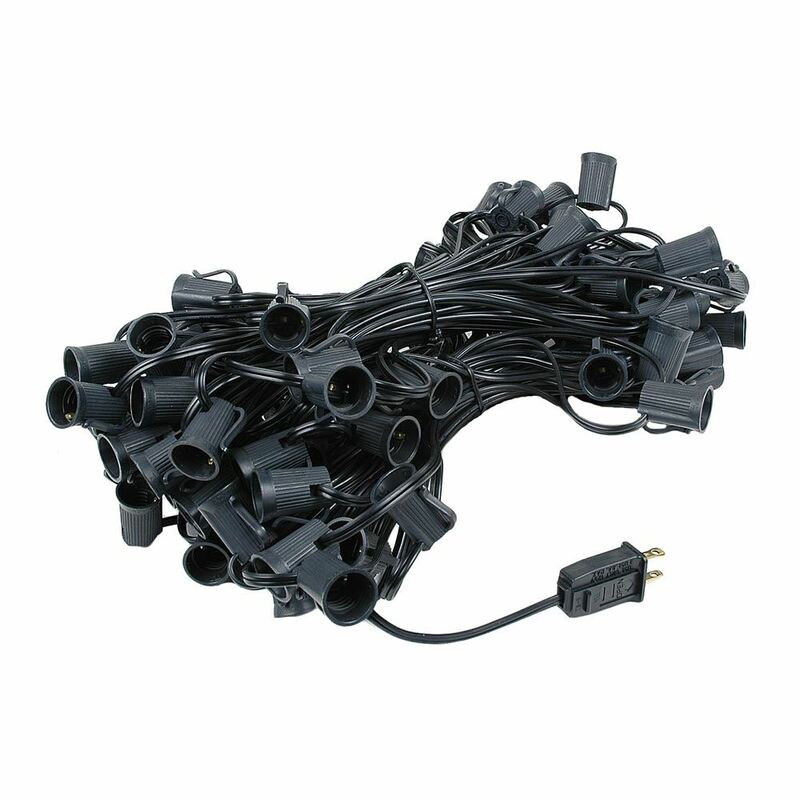 Perfect for seasoned Christmas light installers, yet easy for anyone to decorate roof lines, trees, buildings, walkways and porches. 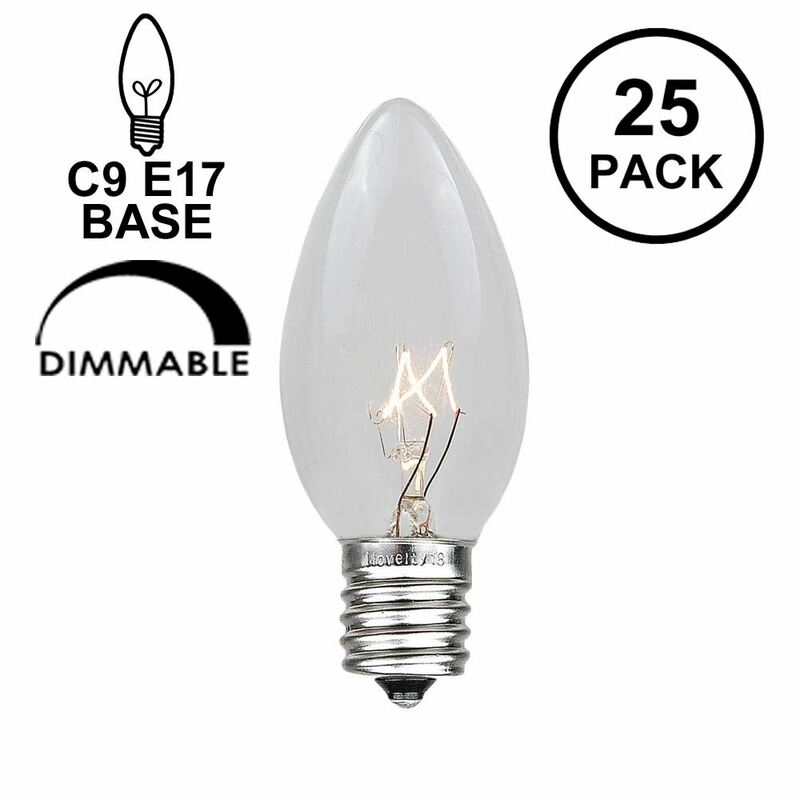 Switch out those old incandescent C9 bulbs that consume too much energy and break all time for our energy efficient Retro-fit C9's utilizing 2 super bright SMD LED technology.